One step onto Sunset Hills Vineyard's fifty acre historic farm and you'll know you've found it: the place you want to celebrate your special day! 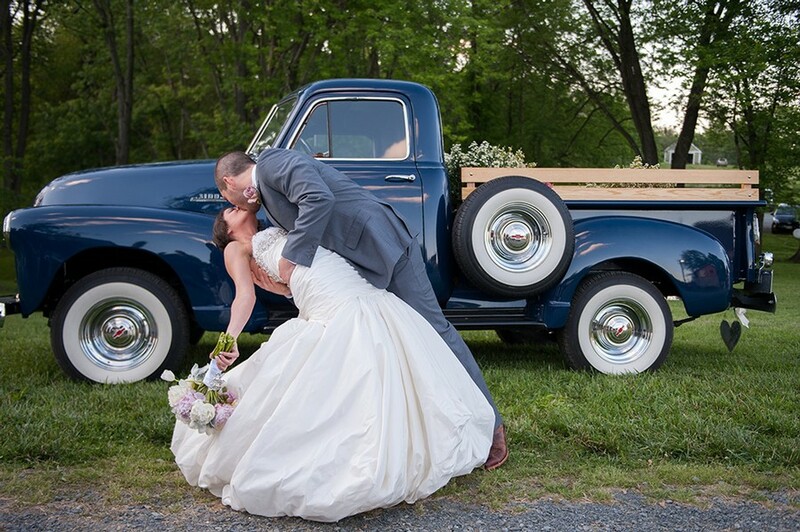 Our spectacular pastoral and mountain views, amazing sunsets, beautiful old-world style farm grounds, and the golden wood, ethereal ceilings of the 1870s restored barn will create the perfect backdrop for your Virginia vineyard wedding ceremony or reception and inspire an endless array of photos you'll admire for years to come. Why Choose Sunset Hills Vineyard? 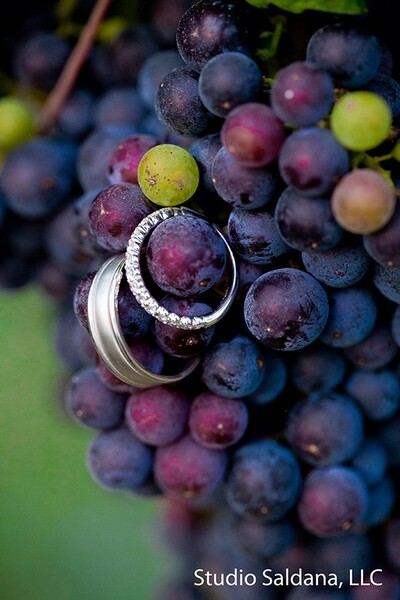 If you're looking to impress your guests with a unique and elegant wedding, look no further than Sunset Hills Vineyard! Our brides rave about the picturesque mountain scenery and warm, rustic ambiance of the winery barn. 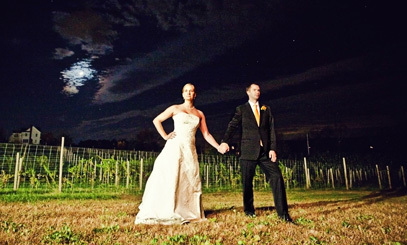 Searching for a classic, timeless winery wedding photo? Our Loudoun County vineyard provides endless opportunities for you to capture that perfect shot - among our grapevines, in our rustic barn or set against the rolling hills adorned by weeping willows, facing the beautiful pond that reflects our incredible sunsets. Choosing Sunset Hills Vineyard as your wedding venue will provide peace of mind when it comes to unpredictable and uncontrollable weather conditions. While some venues only offer an outdoor tented space, our 8,000 square-foot, temperature controlled barn, which can accommodate up to 120 guests, will allow you to celebrate in comfort and style regardless of the time of year, temperature or weather conditions. And to top it all off, our powerful back-up generator will keep the party going even in the most unlikely weather-related conditions. In addition to our picturesque scenery and beautiful event spaces, we provide additional amenities which will make your extraordinary day even more special. 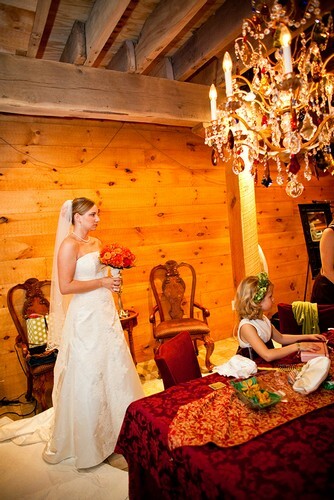 Enjoy the beauty and comfort of our stunning, private Stone Chandelier Room before your wedding. Dress and relax in splendor with a glass of wine, and have your photos taken next to beautiful stained glass and our 1880 original antique vanity. The spacious interior of Sunset Hills Vineyard's barn gives you plenty of space to hire your favorite disc jockey or two-three piece band so that you can dance the night away with family and friends. One hour consultation with our Private Events Manager. Free wine tasting for the bride, groom and parents prior to the wedding. Early access to our facilities for event preparation (1 hour for a rehearsal and/or decorations; 1½ hours for caterer). Two Sunset Hills Vineyard wine servers in the tasting room during the event. Use of audio and visual equipment on premises. Use of Sunset Hills Vineyard etched logo wine glasses for your event. Use of our gourmet kitchen for caterers. Souvenir wine glasses with the Sunset Hills Vineyards logo or customized for your special day. Wine educators to provide special tasting presentations. Bottled beer can also be served if a banquet license is obtained with Virginia ABC ($55.00 additional charge). 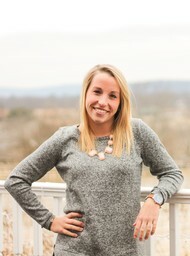 As the wedding coordinator for Sunset Hills and 50 West Vineyards, Emily enjoys all things related to weddings. Emily absolutely loves working with couples to make their dream wedding vision come to life and looks forward to serving the couples of Sunset Hills Vineyard in beautiful Loudoun County wine country. Email Emily to plan your special day at Sunset Hills! Uncork a happy beginning to your new life together.